The following is a guest post by Renee Mimms. As my eyes scanned through my Yahoo emails on the morning of January 17th, I quickly found the one from Amazon and let out a breath as I read the contents. My fantasy novella, The Lost King, was live in the Kindle store. I had gone to bed a writer and woken up an author. I hadn’t originally planned on taking the DIY approach at all. After I graduated from community college in Stockton, CA, and transferred to San Francisco State University, I was set on the traditional approach, like all of my other fellow Creative Writing majors. I absorbed as much as I could from my professors and visiting guest lecturers and formulated a plan: I would find a job in the city and work on my writing in my downtime. But what I failed to realize was that the economy was falling apart, taking my hopes for independence with it. I found myself heading back to Stockton at the end of the fall semester in 2009, receiving my B.A. in the mail the following January. After two months of frustration, I decided to pick up where I’d left off with my fantasy story that would become The Lost King. I went down to the local library and looked through the latest edition of Writer’s Market to figure out what publications to send short pieces to and to find out more about agents and manuscript preparation. I also picked up piano again, giving me an outlet for my frustrations. Jobs came and went, none of them being permanent. The economy was still my enemy. But it wasn’t until I came across a blog post by Khadija Nassif of Sojourner’s Passport that I became interested in self-publishing. In this post, Nassif talked about the changing publishing world and linked to J.A. Konrath’s blog. I began to read Konrath’s blog, later buying a copy of his ebook — and that was that. I decided to go the self-publishing route! On March 3, 2011, I finished my novella and began rewriting. I asked my old Honors English teacher from high school to edit my book for me and received my edits in August, completing my final revisions in October. I created my cover using GIMP and managed to format my e-book almost perfectly after seven attempts using a file editing program and Mobipocket Creator. After The Lost King was finally on Amazon, I went to work on the sequel and began trying to figure out how to make it available in other formats. Sales are slow, but I haven’t given up yet. My goals are to have the next story, The Father God finished in December and ready for editing and have the POD version of The Lost King finished before then. I have no idea what will happen next, but I can only hope that I will be successful at this business called writing. 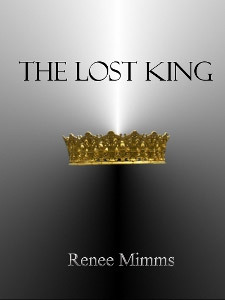 Renee Mimms is the author of The Lost King. The Lost King is the story of a powerful sorceress and a young mage who struggle to free their country from four tyrants and find a new king who will lead a weary people. The Lost King is available on Amazon and Smashwords. For more information, visit her website. I applaud your determination! Self-publishing is hard, and not many people have the courage to take this route. So you’ve already come a long way! Thanks so much for sharing your story with us. I also think it’s awesome how you learned to create your own cover (really cool, by the way) and format your books. Those are things I would also like to learn. Thank you! It has been hard but I’m grateful to have people in my life who are very supportive of my efforts. The cover was a little bit easier to do than the formatting, lol. For formatting, you need to be able to understand HTML and have lots of patience. One of the places that I went to for information was W3: http://www.w3schools.com/. They have lots of info and tutorials. Good luck in your endeavors! Thanks for sharing your story Renee! It’s always great to hear from fellow self-publishers. I’m launching my own book this November, so it’s fantastic to hear first hand experiences. Keep up the good work, and all the very best for the future. Thank you, Ryan. Good luck with your book launch in November!